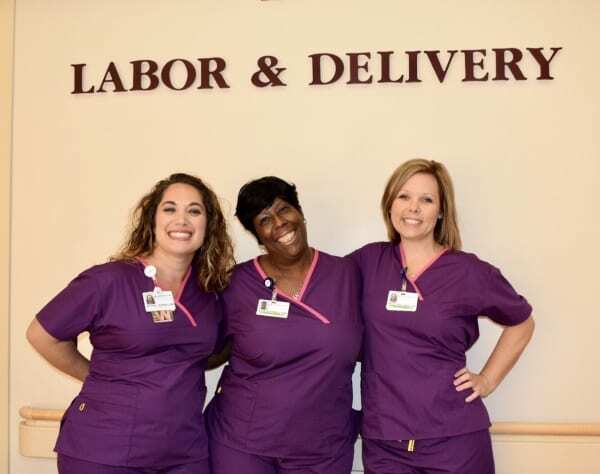 TotalCare for Women is home to the largest Certified Nurse Midwifery practice in Chesapeake, Va. Our Certified Nurse Midwives see patients in all four locations. When it comes to women’s healthcare, an Obstetrician/Gynecologist often comes to mind but a Certified Nurse Midwife (CNM) can also be an integral part of a woman’s healthcare. A CNM is an advanced practice registered nurse that specializes in women’s care. They focus on preventative and educational information in women’s health. For women who are pregnant, a Certified Nurse Midwife concentrates on low-intervention pregnancies. However if an emergency or surgical situation arises during birth, a Certified Nurse Midwife collaborates with an Obstetrician/Gynecologist. To make an appointment with one of our Certified Nurse Midwives, contact one of our locations here or request an appointment here. What is the difference between a Certified Nurse Midwife and a Professional Nurse Midwife? CNMs are certified under the Virginia and North Carolina State Board of Nursing and the Board of Medicine. They also have a minimum of a Masters graduate degree as opposed to a professional nurse midwife who is trained in nurse midwifery but does not have advanced formal training. Find out more about the Certified Nurse Midwives here. TotalCare for Women’s CNMs are certified under the Virginia State and North Carolina State Board of Nursing and the Board of Medicine. Who are the Certified Nurse Midwives at TotalCare for Women?